Though you may not always agree, or even like it … sports plays a pivotal role in our American way of life and experiences. Sports are a part of our patriotic identity. Whether it’s baseball, football, hockey or another sport, this industry can unite people unlike anything else. You have no idea who this person is, where they come from, or what they do for a living, but you have an instant connection to them because of a ball cap. After the terrorist attacks in New York City in 2001, a baseball game helped to bring people back from the harsh reality of that of 9/11. The New York Mets played the Atlanta Braves and thousands came out united. Every four years, the Olympics brings together countries, sometimes that have deep-rooted conflicts with one another, together. Everyone is just an athlete at heart. October is sports biggest month of the year. From the start of football season to the end of baseball season, if you’re a sports lover, it’s the time of the year you probably live for. If you’re one of the nearly 40 percent of people that say they don’t like sports, according to Gallup polls, October could be torture for you. Consider this. Sports is much more than the actual sport itself. Major League sports are expected to bring in more than $73.5 billion to the American economy by 2019 and create well over 300,000 jobs. You may not know who is playing in the Super Bowl, but you probably liked the half time show or the Budweiser commercial with the cute puppy. Maybe soccer isn’t your thing, but you couldn’t run from the World Cup coverage this summer. Add to that, sports stars now have the same cultural appeal as rock stars and movie stars, mostly thanks to access to fans via social media. This gives them much more name recognition and marketing opportunities, which can create awareness and help raise billions of dollars in charitable contributions that benefit so many nonprofits and foundations. You may not like watching sports, or even the concept of them, but to deny the impact the industry has on this country, and its economy, is inconceivable. 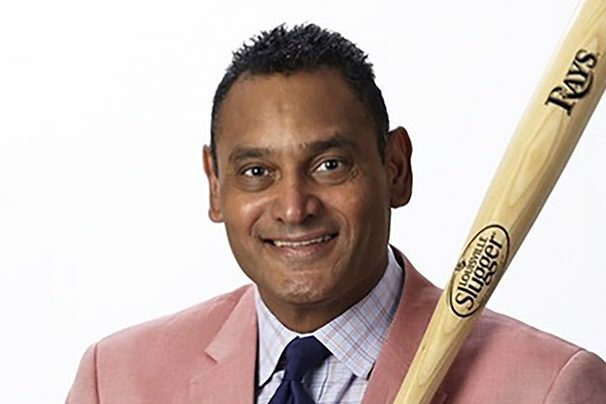 Orestes Destrade is entering his eighth season as part of the Tampa Bay Rays Fox Sports Florida broadcast team. He played 15 pro seasons including in the Major Leagues with the New York Yankees, Pittsburgh Pirates and Florida Marlins.